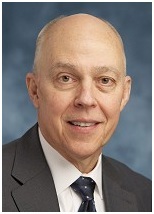 Northrop Grumman Corporation announced that it has appointed retired U.S. Navy Vice Adm. P. Stephen Stanley as vice president of Cybersecurity/C4, effective immediately. Stanley will report to Sid Ashworth, corporate vice president, Government Relations. In this role, Stanley leads the Cybersecurity/C4 portfolio in the company’s Government Relations organization. He and his team contribute to the development and execution of the cybersecurity and C4 elements of Northrop Grumman’s strategic business plan. Stanley manages corporatewide interfaces with key officials of the U.S. government’s executive branch, nongovernment officials, members of Congress and congressional staff members to ensure that clear and consistent messages are delivered in support of ongoing programs, marketing efforts and future corporate business ventures/programs in the cybersecurity and C4 arena. Prior to joining Northrop Grumman, Stanley retired with the rank of vice admiral following a 37-year career with the U.S. Navy. He most recently served as the principal deputy director of cost assessment and program evaluation, Office of the Secretary of Defense. Prior to that, he served as director for force structure, resources and assessments for the chairman of the Joint Chiefs of Staff. He also served in a number of financial management positions for the Navy. He earned a bachelor’s degree in ocean engineering from the United States Naval Academy.